It is sometimes difficult to switch from writing nonfiction to writing fiction. One is based upon fact and the other is based on figments of one's imagination. Pradeep Sebastian has succeeded in writing nonfiction. 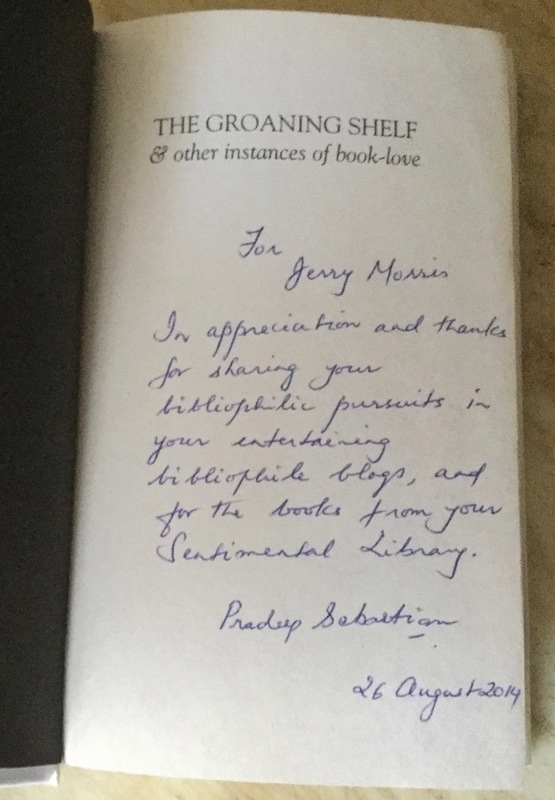 He is the author of The Groaning Shelf & other instances of book love, a series of essays about book collecting that was published by Hachette India in 2010. He is a literary columnist for The Hindu and writes articles about book collecting for other periodicals as well, including the Business World, India. And now, Pradeep Sebastian has succeeded in writing fiction. In one of his nonfiction articles, Pradeep mentions working in an antiquarian bookshop prior to becoming a teacher. He has used his past experiences to write a life-like bibliomystery, The Book Hunters of Katpadi. I say "life-like" because the characters in this book are veritable clones of people you and I have met in the real book world. Neela, the knowledgeable bookseller and proprietor of the bookstore, Biblio, instructs her assistant, Kayal, on the wiles and ways of bookselling. Come hell or high water, Nallathambi Whitehead, the Sir Richard Francis Burton collector, wants to be recognized as the foremost Burton collector in the whole wide world. But Whitehead has an adversary, 'Arcot' Manovalan Templar, owner of Heritage Auctions, the only book auction house in India. Templar thrives on acquiring choice items for his auction house before Whitehead has the opportunity to purchase them directly from their former owners. Both men were originally from Katpadi, about 138 kilometers west of Chennai, and thus the title, The Book Hunters of Katpadi. Pradeep Sebastian wrote The Book Hunters of Katpadi for the bibliophiles of India. But bibliophily is a universal language. And the bibliophile in America will readily recognize the names of bibliophiles of the past who are mentioned in this book. The American reader may even be surprised with the connection some of these bibliophiles had with India. Currently, the book is only being published in India. But the hardback is available at fairly reasonable prices from several India bookstores via Abebooks and Biblio. A Kindle edition is available via Amazon UK. 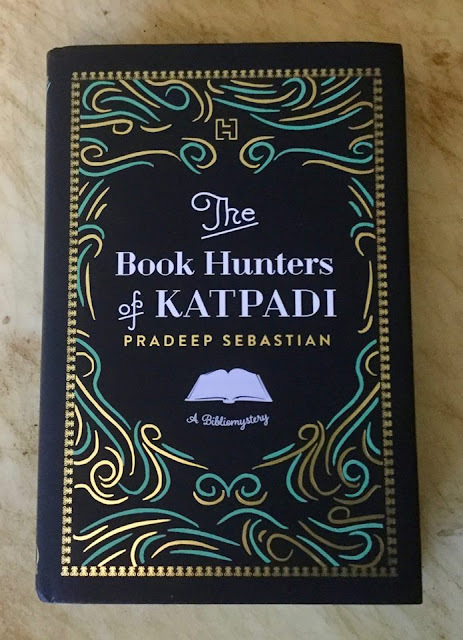 Pradeep asked his publisher, Hachette India, to send a copy of The Book Hunters of Katpadi to me because he wanted to see what I thought of it. I told him that Hachette should have its American-based Hachette Book Group publish his book in America as well. I believe that American booklovers will enjoy reading it. Both of Sebastian's books sound good to me. I second your motion for a US edition of the bibliomystery. Thanks for mentioning it. I'll keep an eye out for it as I can tell it's something I'd enjoy.